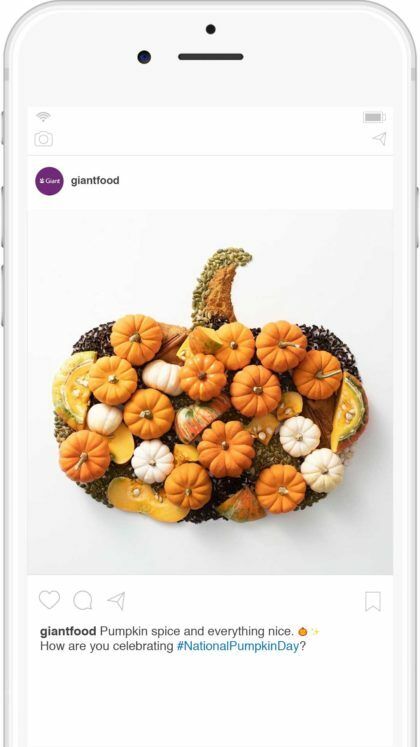 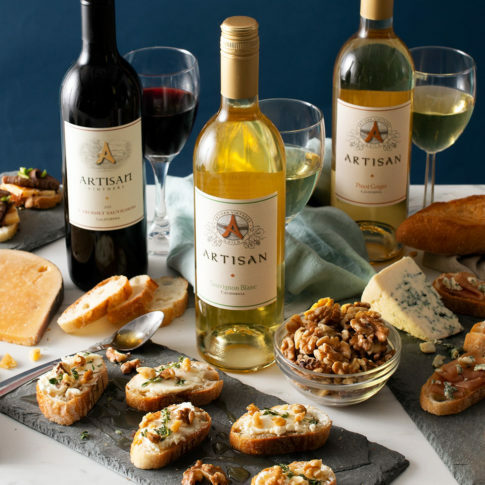 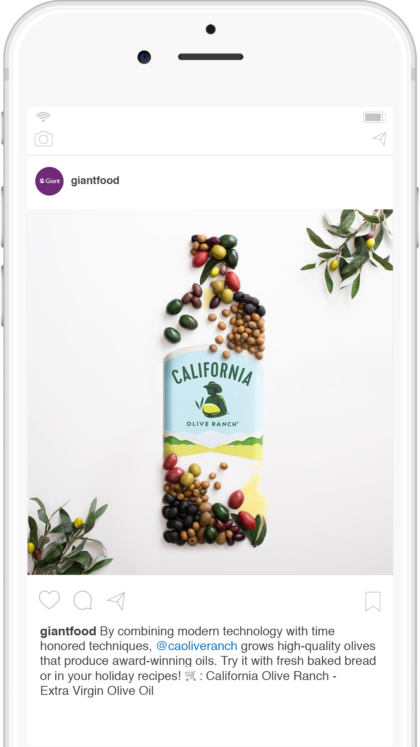 Giant Food wanted to stand out from all of the other gorgeous food photography posts on Instagram. 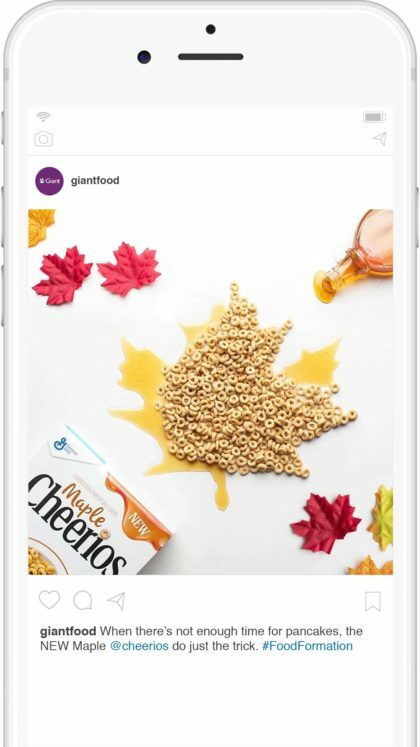 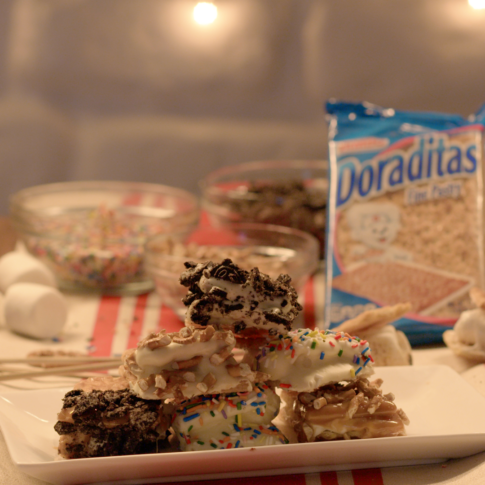 To help the brand create a unique and ownable concept, Likeable launched Food Formation. 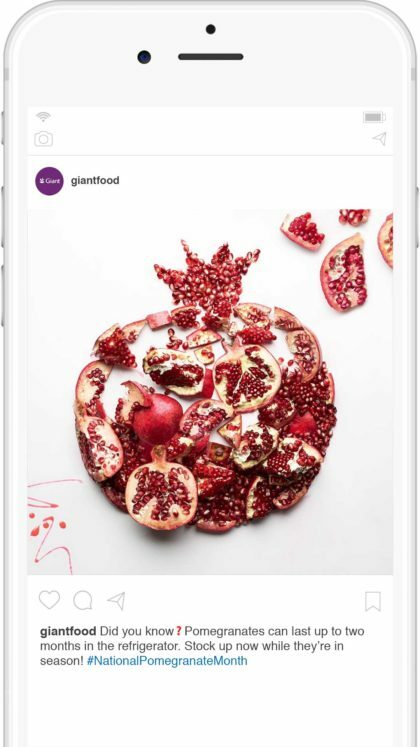 This Instagram content series beautifully highlights seasonal products by building the shape of a food using elements of the food itself.